Azure is going strong, but Microsoft's phone retreat is costing it. Microsoft's cloud push continued to pay off last quarter, with revenue from its Azure services more than doubling from the same period last year, the company reported Tuesday. Overall revenue for the quarter was down, however, thanks partly to a steep decline in Microsoft's handset business. 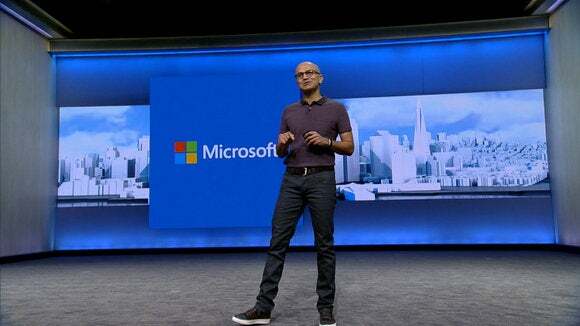 Total revenue for the three months ended June 30 was $20.6 billion, Microsoft said, down from $22.2 billion last year. Net profit was $3.1 billion. Microsoft's retreat from the smartphone market hurt its device sales significantly. Phone revenue sank 71 percent, after the company back pedaled from its Nokia acquisition to focus on a few models of Windows phone. The news came shortly after Microsoft announced that it would miss its goal of having 1 billion devices running Windows 10 by the middle of 2018, in part because its smartphones aren't selling well. Microsoft's Intelligent Cloud business, which includes Azure services and on-premises server software, performed better, with revenue up 7 percent to $6.7 billion. Azure compute usage more than doubled year over year. Microsoft doesn't break out a dollar figure for its Azure sales, however, so it's hard to know exactly how large that business is. Search revenue also grew, by 16 percent. More than 40 percent of search revenue in June was driven by Windows 10 devices, Microsoft said. That may have something to do with the fact that Cortana, the virtual assistant bundled with Microsoft's new operating system, uses Bing to run web searches. Microsoft's productivity software business also grew significantly. The number of commercial seats of Office 365 sold grew 45 percent year-over-year, as more companies migrated to the subscription-based suite. All in all, the quarter seems to be something of a validation for CEO Satya Nadella's focus on the cloud, with Office 365 and Azure posting strong growth. That said, the company's revenue declines still haven't leveled off, despite the rise in its newer businesses.